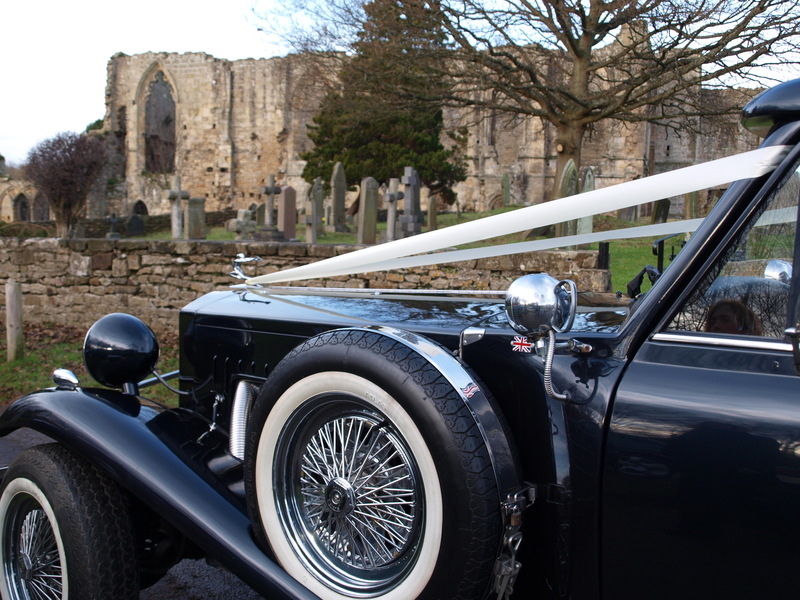 Our Beauford Saloon took the Brides mum and bridesmaid first followed by the Bride and her dad, from their home in Richmond to the rather quaint St. Agatha’s church, Easby set in the shadow of Easby Abbey. 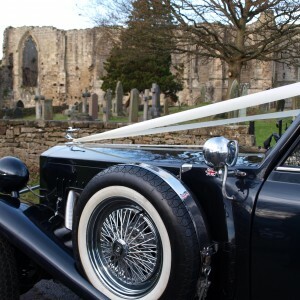 After the ceremony the photographer Richard Jones of MLA Wedding Photography utilised the beautiful setting taking pictures of the Bride and Groom within the abbey ruins. 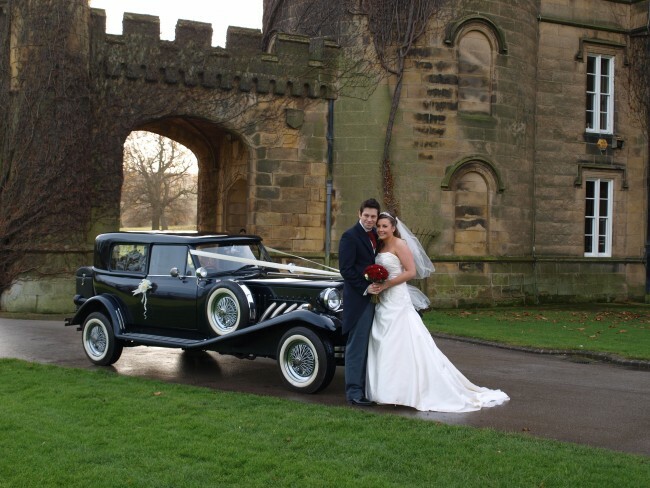 The Bride and Groom then enjoyed their champagne on a leisurely drive over to Swinton Castle, Masham for further photographs and their reception.